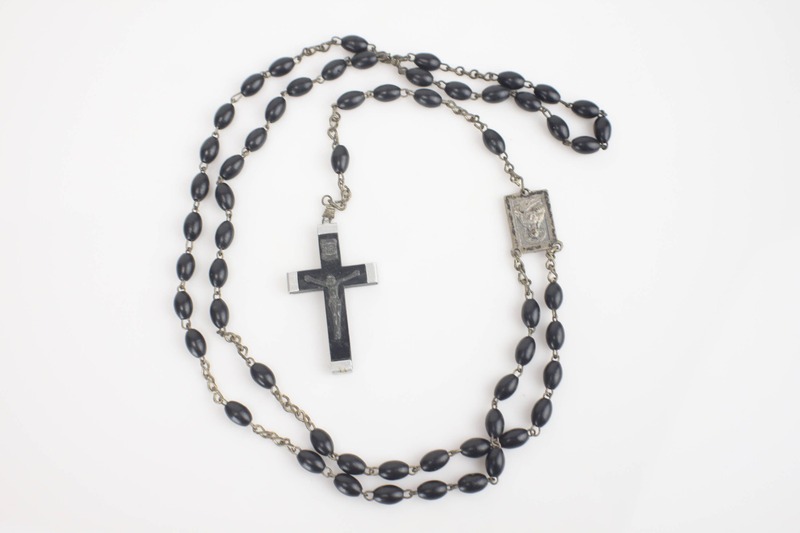 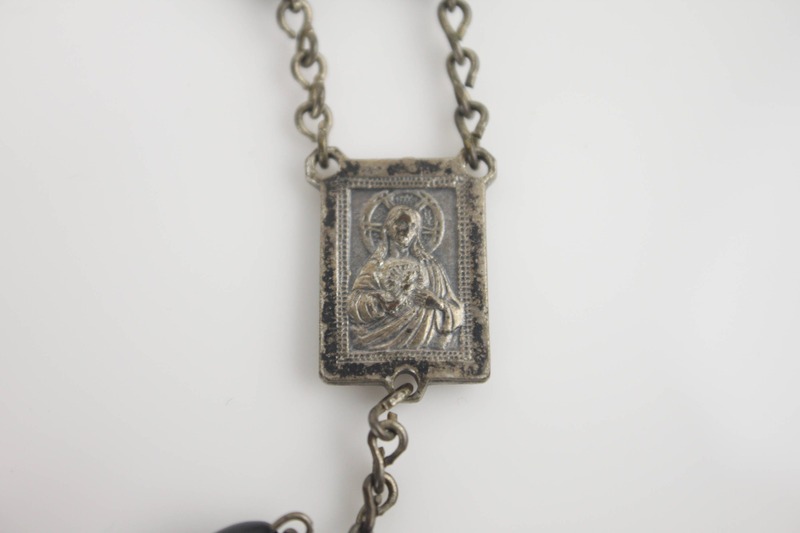 Made from silver plated chain with simulated ebony beads - this piece features a sterling silver-plated medallion that depicts a the image of the Madonna and child on one side and Jesus with the Sacred Heart on the other. 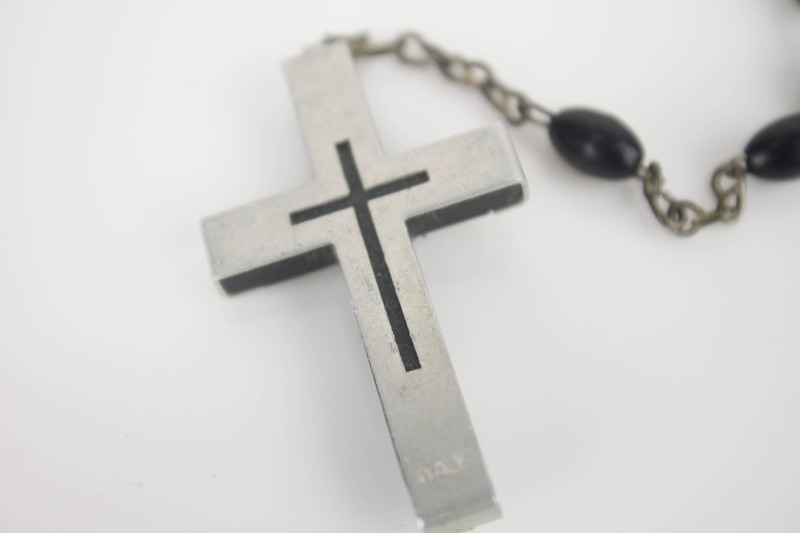 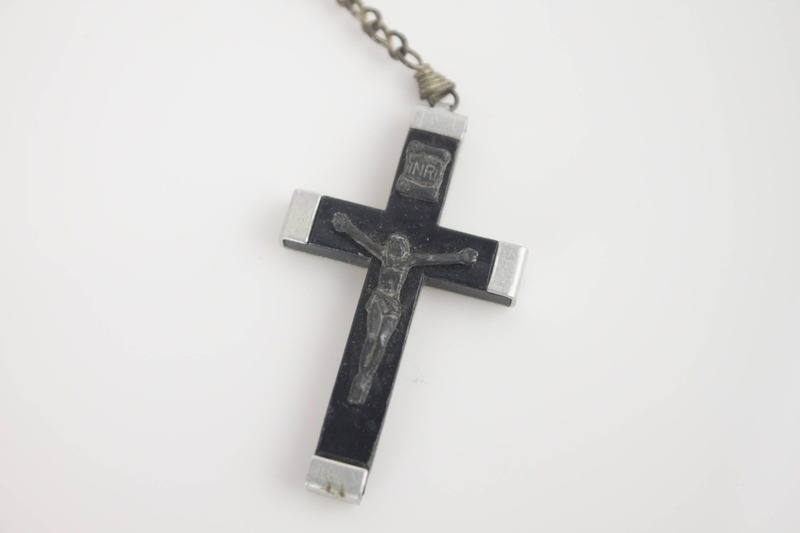 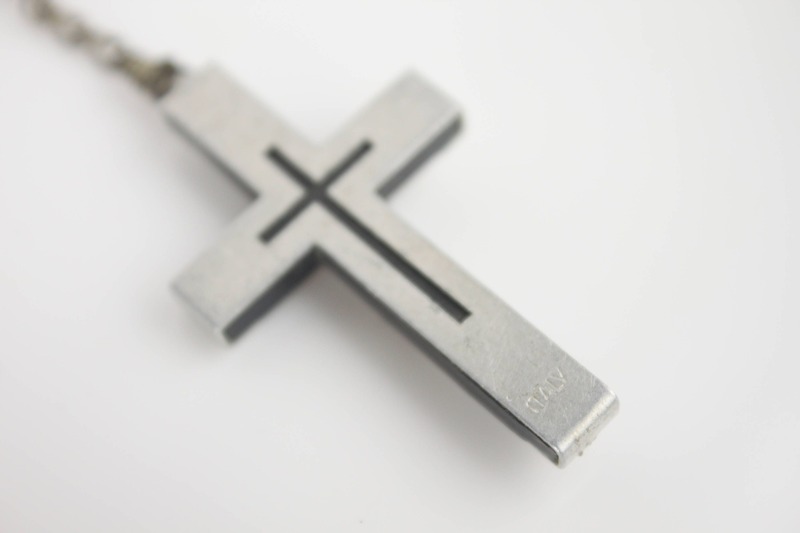 The crucifix is made from simulated ebony wrapped in aluminum with a silver plated corpus, scroll and is stamped Italy on the reverse side. 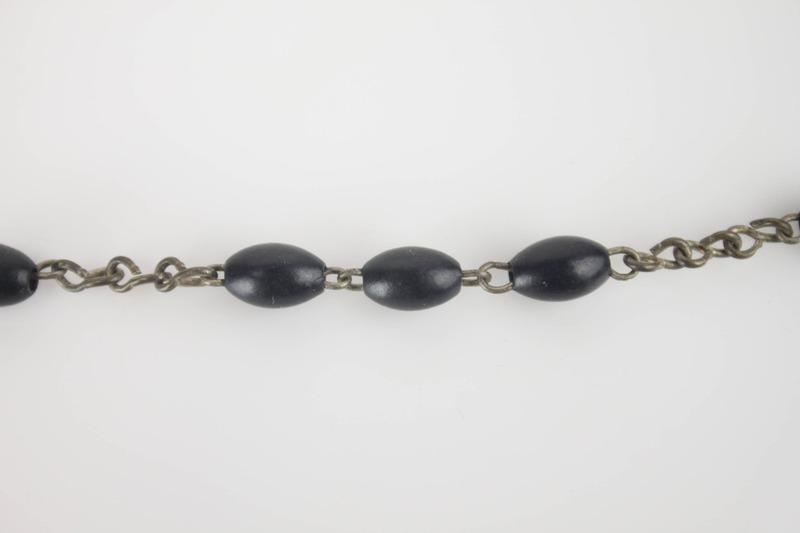 It is hard to date this piece. 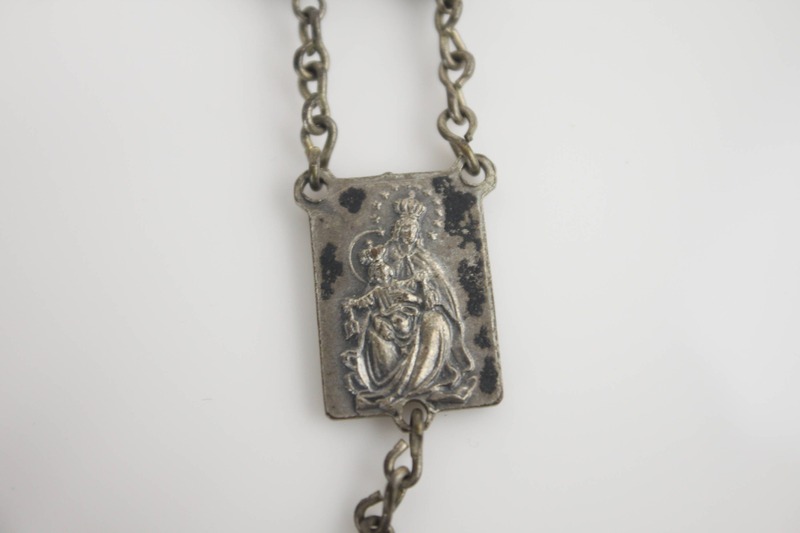 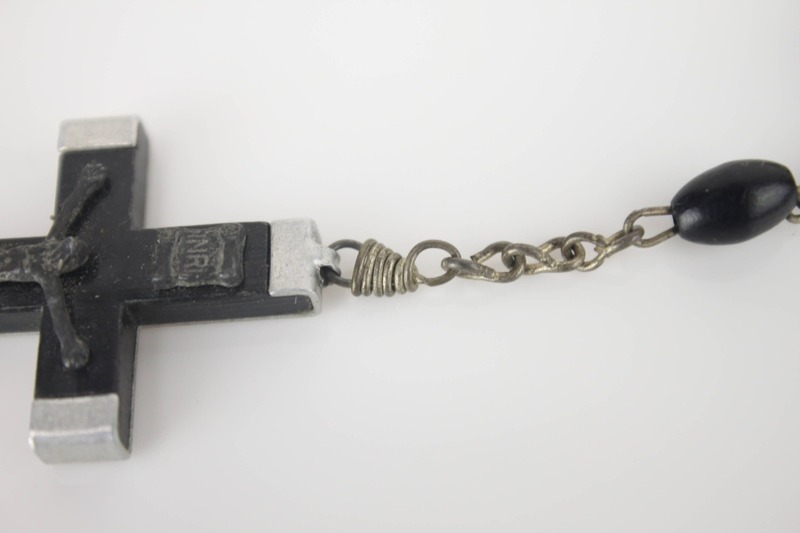 However, the fact that it was made with silver plate and resin beads seems to indicate that it was made post 1960.